B&W city look | Outfits - Do You Speak Gossip?Do You Speak Gossip? P.S. This is my 200th outfit post. Yayyy! Υ.Γ. Αυτό είναι το 200ό outfit post μου! Ναιιι!!! Οι μποτες ειναι υπεροχες + μου αρεσεουν πολυ σε συνδυασμο με ολο το outfit! Η επιτομή του στυλ και της κομψότητας!!! Αφήνω μια πελώρια ζεστή αγκαλιά και αποχωρώ! Aww s’euxaristw poli Joanna mou! Na’sai kala! xixi les na arxisw na kanw delievery se oli tin Ellada? 😛 Makari na mporousa..pragmatika, tha to ekana! 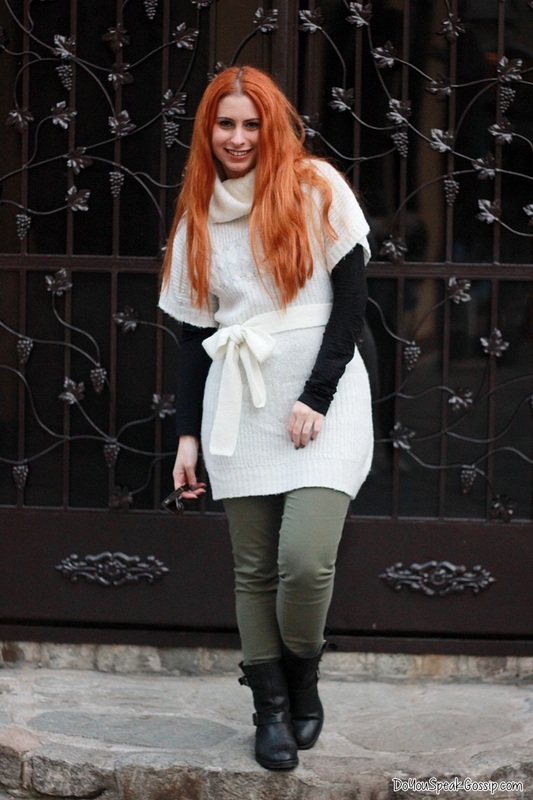 The long sweater is so great, it can be worn as both a top or tunic so it’s so versatile! And hello fabulous boots, they are awesome! κουκλα as always <3 ανυπομωνώ να φάω τις γλυκάρες που έκανες! Beautiful black and white look!! This outfit is amazing and you look so gorgeous. I am obsessed with shoes and I <3 those kaporal boots. Also that stradivarius long sweater and D&G bag is so chic. Thanks for sharing such a wonderful stuff. That sweater looks soo cozy! I want something similar!